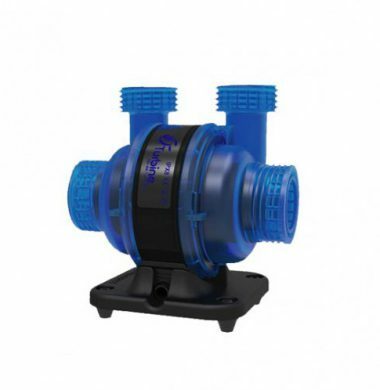 The Maxspect Turbine Duo Pump has two seperate outlets allowing water to be directed to two seperate places at once. The Maxspect Turbine Duo Pump can also be reduced down to one input and output easily and quickly if preferred allowing it to act as a standard return pump would. With a whole range of accessories included as standard, the applications for the Maxspect Tubine Duo Pump are numerous.